Towards the end of 2016 and over the beginning of 2017, my focus was solely on how do I make more money from my blog? I was now working full-time, which meant that unlike in university where I was a permanently poor student, I no longer needed my earnings from my blog to help in funding a decent lifestyle. I started to bargain higher and turn down opportunities where I felt I wasn’t getting my money’s worth. But then some time during the summer, I was scrolling through my inbox and realised that this mindset meant I was missing out on some great opportunities to work with fantastic, as well as up and coming brands. I decided to change this. I am very much in a stage when I am growing my blog – I don’t have a million followers and I don’t blog full-time, this means I have all the space in the world to experience the industry and build up a high quality portfolio rather than getting my head too wrapped up in earnings at this point. In 2017, quality quickly became my primary focus, rather than the moolah. HOWEVER – this is not me saying that you should let brands/PR companies take the p*ss: it should always be a two way relationship in some way, shape or form, “you may have a chance to be featured on our Twitter page!” doesn’t really cut it for a collaboration. For almost a year now I’ve been dedicated to posting twice a week; currently my posting days are Saturday and Wednesday. My strictness with keeping up with this varies – at first I was on a roll, if I was ever going to miss a week of posts I would state so in my blog and actually treat it like a holiday from blogging, just like I take annual leave from work. The first time I involuntarily missed a day I remember feeling terrible, but over time I got more comfortable with the idea that it was better to miss a day than to put up content of poor quality. However, I am working again at getting stricter with myself and sticking to this schedule. Definitely the best result of setting myself a schedule is just forcing myself to remain consistent and disciplined with blogging – plus, people know when they’re likely to hear form me. I usually see a pick up in blog stats when I am consistent and more active, for example when I did a week of daily posts around Christmas last year, my readership picked up considerably: as we all know, consistency is key. My most viewed pieces of content and those where I just sit and share whatever is on my mind, something like this, or my last post where I spoke about things I wish I never did. This is followed closely by travel posts. At the start of the year when I would put up new outfit posts I would just post the photos with a bit of fluff around the outfit, but I never really knew what to say. I actually did this because I was scared I would run out of content for my more talkative posts. 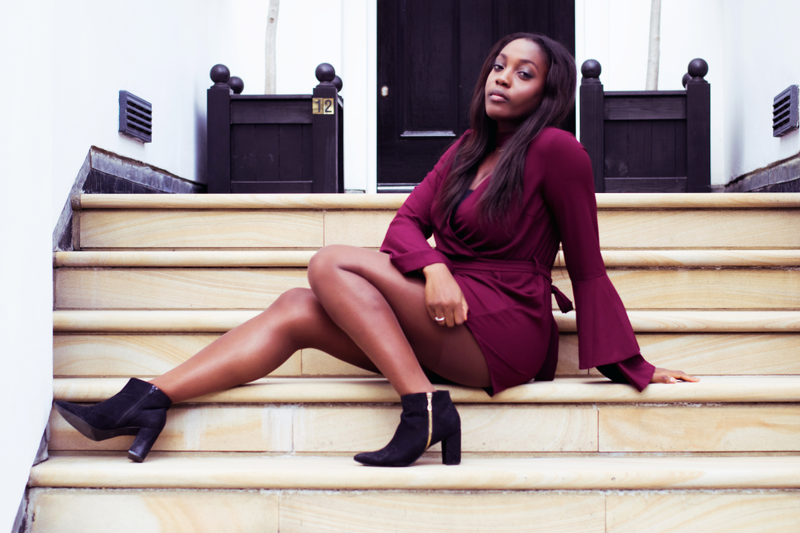 Overtime I became fed up with publishing what I thought was content my readers simply were not interested in – so I got rid of my irrational fear of ‘running out of ideas’ and started beefing up my outfit posts. Now with everything I publish you can guarantee I’ve put a lot of thought and effort into it, and by doing this I’ve become way more satisfied with the content I share. This year I’ve started utilising social media more effectively as a platform to promote my blog. Previously I’d been too afraid that I was going to annoy my followers so I would keep the promotions to an minimum, I’d also use just a very minor few hashtags as to not look to #desperate. However, over time I noticed that i) I didn’t get annoyed about people promoting, so why would others get annoyed at me? ii) I didn’t care anyway – social media is the perfect platform to promote what you’re up to, why should I not utilise this effectively? And iii) as Gary Veyner says – hashtags a currencies in social media. Actually, one of the benefits of this has been not letting my old posts disappear into oblivion, I am able to re-promote these on Twitter using the most handy app Buffer, and direct people who may have missed these posts in the past. A similar thing goes for Instagram, although not to the exact same extent, I do always try to utilise their story features. You know those pieces of advice you always hear but don’t always follow straight away? For example – I always hear that the most successful people in the world read a lot, so of course that means I want to read a lot too, but I go through periods where the most reading I do is on the beach. It’s similar with a mailing list, for I while I heard that this was an amazing tool for connecting with your readers, retaining new readers and building an overall community, but it took me a while to finally implement this tool. I’m still fine tuning a few factors here but plan to offer out a lot of exclusives going forward and in the coming months to those that have signed up! What are some big changes you’ve made in 2017? 7 Responses to "5 Big Ways I Changed My Blog in 2017"
I think for me one of the biggest things I did for my blog this year has been making the move to WordPress. I was previously on Blogger so shifting everything over to WordPress has been a pretty big deal to me! I really like WordPress, definitely the #1 choice for me! I set up a mailing list too and instead of it being a chore like I thought it might be it’s actually been really beneficial and a great creative outlet for me. I love these changes you made to your blog, I think they are ones everybody can adopt to improve. I 100% agree that focusing on the quality rather than quantity is the best approach. You also feel much happier when you like what you have written with a focus. Additionally being active on social media is also a good thing especially engaging within the blogging community.